It’s 4am. And you’re awake. Why? Is it because your newborn startled themselves awake? Or your infant got too hot in the night? Or maybe your toddler kicked the blankets off. Whatever the reason, you’re up. You’re trying to resettle a restless baby or child, and you’re already dreading the day ahead. We hear you mumma! We’ve been through the no-sleep trenches and have the battles scars – those dark circles under our eyes – to prove it. While not all little ones are poor sleepers, many are. Both of mine were great eaters but awful sleepers from the get-go. Hell, they are school aged and STILL have trouble sleeping through some nights. #mumzombieforlife. If you, like me, have been blessed with a baby that isn’t a great sleeper, you’re probably wondering what the secret to successful sleep is? Some mums might tell you it’s pure luck. But these tried and tested sleep tips can also work, especially when making the transition from winter to summer. Most newborns don’t sleep lengthy periods of times. You may find that the longest stint you get is only two or three hours and this is perfectly normal. 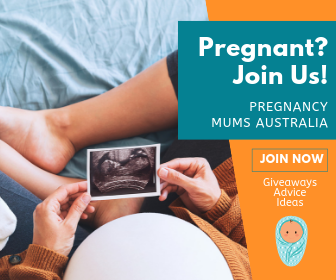 But this time will increase as baby grows and by around the four month mark, your little one should be settled into a more structured sleep pattern which MAY include a stint of five or six hours. Even older infants and toddlers aren’t always going to sleep through. So rather than get frustrated your child isn’t sleeping, consider WHY this could be. Is it too light out? Consider adding block out blinds to bub’s room. Is it too quiet? Look into using white noise to help lull baby to sleep. Are there weird noises frightening your older child? Shut the window to block out the scary sounds. Another common issue when the weather changes is for bub to be too hot (or cold in winter). Adjust the thermometer, air con or fan and consider changing sleeping clothing accordingly. Add or remove a layer and look at the weight of the fabrics your little one is wearing or snuggling in. Routines are boring, yes. But they are so essential for little ones especially when it comes to sleep. Babies need two to three naps a day in order to feel well rested enough to doze off at night. Try to keep nap time and bedtime around the same time every day and get bub used to sleep with a wind-down routine. This may include a feed, a bath, a massage, a mobile, whatever works for you. What these sleep aids do is help signal to bub that it’s time to shut off and go to sleep. Keeping your newborn, infant, toddler or older child comfortable, snug and secure at night is a must for successful sleep. This is where the award-winning Grobags from The Gro Company come in. If you’re unfamiliar with The Gro Company, then allow us to formally introduce you to this trusted and much-loved brand. They are considered the ‘official’ baby sleep bag brand, helping sleep-deprived parents for 18 years now. 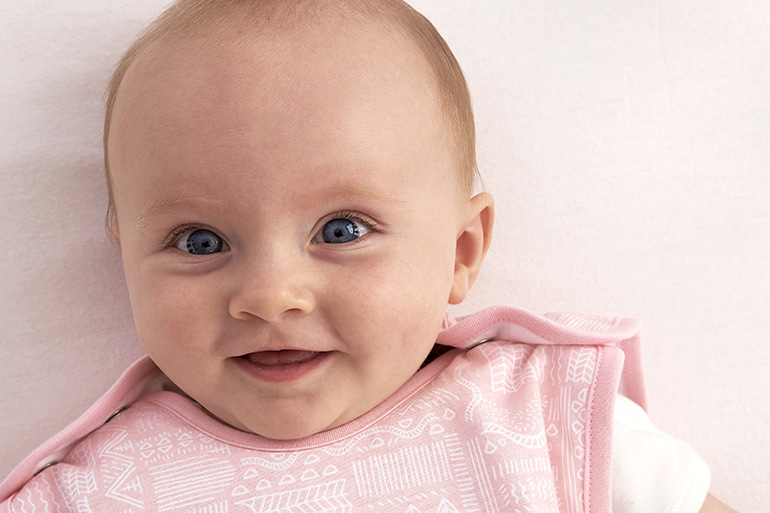 Their incredibly popular Grobags are an ideal option for helping babies of all ages sleep better. What are these crazy sleep contraptions you ask? Grobags ($49.96 for .5 TOG rating or $64.95 for 1.0 TOG rating) are a sleeping bag/blanket all in one. You can choose ones that zip at the front as well as on the side and rest assured knowing they comply with the healthy hip guidelines. 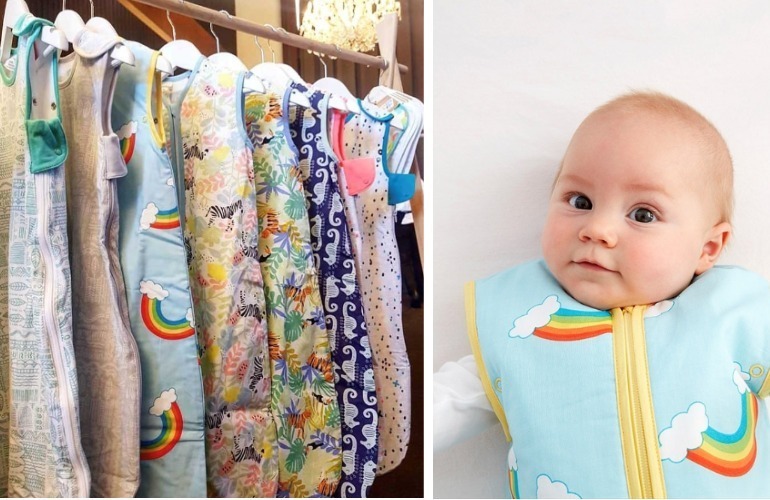 They keep baby covered – no kicking off blankets here – but are sleeveless to help with ventilation, which is especially handy for the upcoming summer months. Speaking of summer months, Grobags also come in various TOG ratings to ensure a better night’s sleep in every season. In summer, look for a lightweight Grobag with an 0.2, 0.5 or 1.0 TOG rating. In the cooler months, aim for heavier Grobag with a 2.5 to 3.5 TOG rating. Their new spring range is not only ideal for the warmer months but also as pretty as can be, especially their all new Over the Rainbow Travel Grobag. What we especially love about Grobags is that they are suitable from newborn right up to preschool-age (if you wish). So, once bub is used to a Grobag, you can keep this type of sleeping aid as part of their sleep routine for years to come, increasing your chances of sleep success. 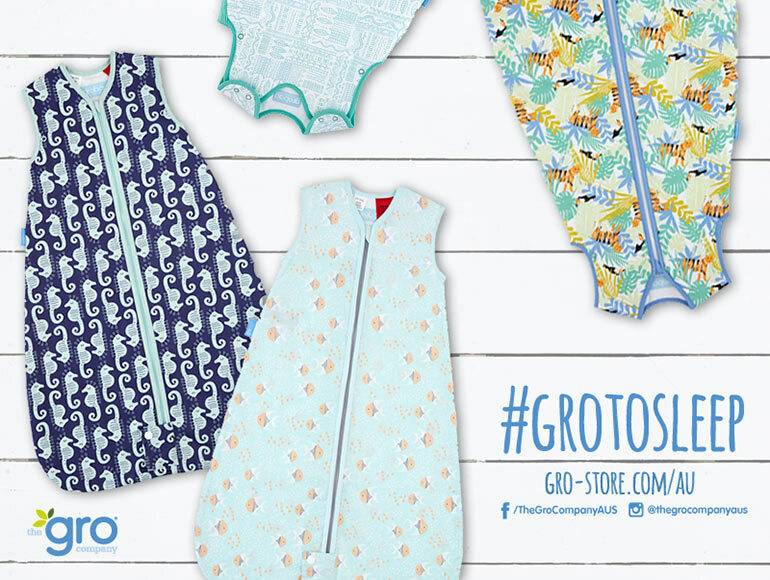 Just be sure to check out The Gro Company’s Grobag Guide to find your tot’s correct size. As well as adjusting for the weather, you may have to make minor adjustments for your little one’s age. Naps may become fewer and further between. Bedtime might become a bit earlier to make up for these missed naps and you may also find you need to adjust your sleeping aids to suit. While plenty of toddlers and preschoolers will continue to love Grobags, wriggly tots might prefer the freedom of a Groromper. This is another ingenious sleeping solution, especially for active toddlers. Like the Grobags, Grorompers are an all-in-one bedding solution but with LEGS! Oh and grippy feet to stop them from slip sliding all over the floor. Toddlers can run around, wiggle their toes and get on with those all important toddler activities, whether asleep or at play. 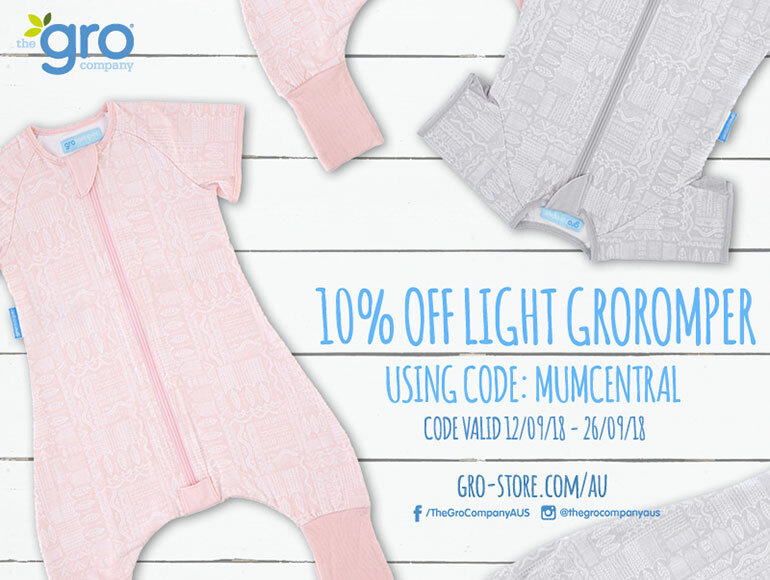 Grorompers, available in LIGHT or COSY weight, are perfect for warm or cooler weather, with safe breathable underarm mesh vents to assist in regulating your little one’s temperature. With two different sizes available 12-24M or 24-36M, if your toddler is a bit on the busy side, these adorable Grorompers are a must-try. There is no special formula that guarantees your little one will sleep all night, every night. But, with a good sleep routine, the right sleeping aids and a little bit of luck, you may find a solution that works for your family. 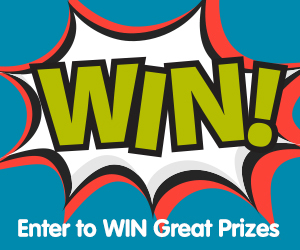 The Gro Company currently have a fantastic offer for all Mum Central readers. Pick up any Groromper LIGHT ($64.95) and receive 10% off. Bag yourself a Grobag or Groromper bargain and see if these award-winning sleep products make a difference to your baby’s sleep routine. Fingers crossed! Offer valid until 26 September 2018.